Back in September I ran the final round of mini sessions for 2018 and I was delighted to be booked by the lovely Danielle again to go and photograph her and her new boy, Dino! I photographed Danielle a couple of years ago with her older boy Stan who is now enjoying a happy retirement so I was very excited to go and meet the beautiful Dino and have a catch up. Danielle, works at and keeps Dino at Drungewick Manor in Sussex and it is such a stunning yard with endless places for photo opportunities. I was spoilt especially with their big barn entrance for black background photos. Dino was such a good boy and a total gentleman and I love how Danielle has established such a great relationship with him. I love the first photo where they are cantering and she has got such a huge grin on her face! Thank you again Danielle for booking me to photograph you and your boy! 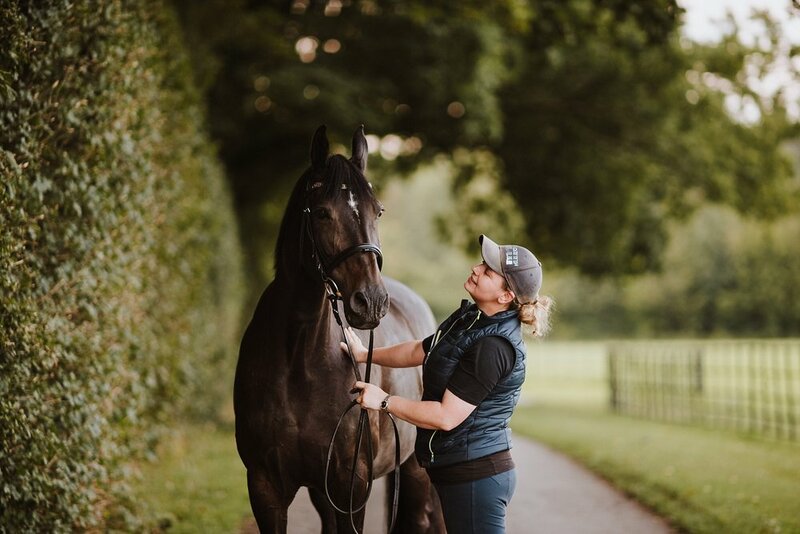 WOULD YOU LIKE TO WIN A PHOTO SHOOT IN 2019 WITH YOU AND YOUR HORSE? The prize is a 1hr photo shoot anywhere in the South East with 10 high resolution digital files and 3 mounted 8x6 fine art prints. An amazing prize! To enter just fill in your details below and I will be going live on the Facebook page at 2pm this Sunday 4th November to do the live draw and announce the winner! Simple rules: You must be based in the South East and to not of won a competition with Hoofbeats & Pawprints before.